Join the EAA for this informative evening discussing responsibilities and considerations for Architects when considering fire safety and the CDM regulations. Join Crumble at the RIAS Bookshop for an evening of discussion on the notion of comfort, and how we feel about the environments in which we live. Crumble is an independent architecture magazine edited and published by students from the University of Edinburgh. Have thoughts on the proposed Masterplan for Waverley Station? Now is the time to have your say. IMDDA brings together experts from across the globe to discuss ideas from design innovation through research to policy development. Being able to find and use a toilet when on a journey is essential if you want to participate in society – yet it is often difficult or even impossible for people with disabilities and their supporters. Some of the responsibility rests with architects who locate and design the toilets in bus and train stations, service stations, ports etc. Our research project: A Public Inconvenience. Better toilets for inclusive travel is hosting a major event at which we will be presenting the findings from a study undertaken by a dozen people with disabilities (dementia, wheelchairs, profound and complex needs) and their supporters who have been recording their experiences whilst travelling. Please contact the project directly if you would like to be invited. Come along and hear about what the EAA has been up to over the past year, and what’s planned for the year ahead. This masterclass will give unique insight into the conservation principles, process and craft practice behind the restoration and reconstruction of an extraordinary Charles Rennie Mackintosh designed tea room. The Oak Room, originally built at Ingram Street Glasgow, was conserved by Charles Taylor Woodwork in collaboration with Smith & Garratt and presented as a walk through main exhibit, within the Scottish Design Gallery at the V&A Dundee ready for the September 2018 opening. Charles Taylor has been designing, manufacturing and conserving woodwork for Scotland’s most prestigious clients for over 30 years. He trained in the London College of Furniture then began his own business, Charles Taylor Woodwork which is now one of Scotland’s best resourced specialists. Over the years he has developed expertise in the specification and manufacture of period joinery and cabinetmaking within historic houses. Prominent projects include extensive works for the Sotheby’s Restoration Award (2018) winning Marchmont House, the recent renovation of Edinburgh Universities McEwan Hall, the conservation of the Sir Walter Scott Hope Scott gates and extensive conservation works on the Robert Lorimer designed Thistle Chapel, St Giles cathedral. A major contributor to increased levels of absence in the UK is the rise in mental health issues, with the Farmer/Stevenson Review 2017 estimating the cost of poor mental health to employers to the tune of £42 billion annually. A report released by Business in the Community, Mental Health at Work, found that 60% of employees had experienced a mental health issue in the last year because of work. Ranging from complex mental health conditions to more commonly experienced symptoms such as stress and anxiety, the report identified a number of work-related indicators to a person’s mental wellbeing. Discussing how to create an organisational culture that lends itself to positive mental health, industry experts will provide insight into safeguarding staff wellbeing and how to address problems before they become severe. Through attending this conference, you will improve your confidence in approaching distressed employees, creating reasonable accommodations, resolving performance concerns, and managing an effective return to work. In conjunction with this, Holyrood Insight will be running a full-day conference, Reducing Employee Abenteeism, on Wednesday 27th March 2019. Providing you with the latest research, case studies and innovations to tackle absenteeism in the workplace, you will learn how to boost employee engagement, increase productivity and ultimately, improve your organisation’s bottom line. This conference will be of particular interest to senior management within HR, occupational health teams, and other professionals who are responsible for employee wellbeing. They can offer 10% off the standard delegate rate, however if you book two places or more on any event, they can increase that discount to 20%. In the “promotional code” section of the booking form, use the code WKMH1O-1241058 to receive 10%, and the code WKMHZO-1241058 for 20%. Promotional codes will expire at 9pm, Friday 8th February 2019. 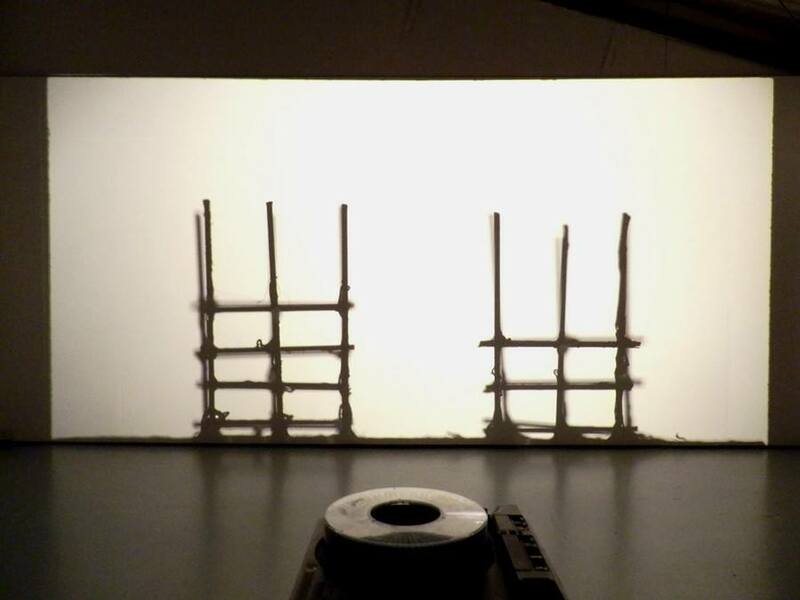 John Lowrey is a senior lecturer in architectural history at Edinburgh School of Architecture and Landscape Architecture (ESALA), part of Edinburgh College of Art within Edinburgh University. He has specialised in the study of classical architecture in Scotland and in the architectural history of Edinburgh. He has published widely on the New Town, the Greek Revival, Scottish landscape design and on the Scottish Parliament site. Stuart Eydmann is an independent professional based in Edinburgh with extensive expertise in built heritage and the traditional arts. He undertakes research, writing, consultancy, teaching, recording and advocacy within these sectors. Ian Gunn was educated at the Edinburgh College of Art. He has lectured in information technology and electronic publishing, and co-founded the Split Pea Press, which published a number of Joyce-related titles. He co-authored, with Clive Hart, James Joyce’s Dublin: A Topographical Guide to the Dublin of Ulysses. Ian is currently Honorary Fellow of the University of Edinburgh. Making Things Last: a circular economy strategy for Scotland was launched in 2016. This strategy aims to build a strong economy, protect our resources and support the environment. This event will explore how the Circular Economy can be adopted in Scottish design and construction. Are we Making Things Last in Construction? RIAS Practice Services has arranged an essential CPD afternoon focusing on the day-to-day issues affecting Scottish practices. This event will highlight practitioners’ queries to Practice Services on various aspects of running their business. The programme will be specifically tailored to architects’ needs and will leave ample time for questions and answers. We anticipate that this event will sell out quickly so book early to avoid disappointment. Montreal is an island. Mount Royal, located at its center, is only one of the city’s many geographical and topographical characteristics that determine its urban heritage. This heritage is also the result of the different layers of development, starting from the 17thcentury. The presentation aims to showcase Montreal’s urban heritage. With the help of examples of urban transformations taken from history as well those presently underway, the presentation will also discuss some of the conservation issues. Claudine Déom is a professor at the School of Architecture. Her research is on the history of architecture and conservation of the built environment, with an emphasis on the process of attributing heritage values, in particular those of public buildings in Montreal and Quebec. Claudine Déom is also interested in the history of conservation in Canada since the 1960s. She works with conservation organizations such as Heritage Montreal and ICOMOS Canada and chaired the Canadian Educators in Conservation Round Table, a national network of professors and professionals involved in conservation education, from 2009 to 2013. She has been a member of the Conseil du patrimoine culturel du Québec, the province’s heritage advisory body, since 2017. New York city has more protected buildings than there are protected monuments under the Archaeological Survey of India. The heritage protection laws in India are either not fully understood or in some cases not fully enforced. With the fast and reckless pace of modern development and an exploding population in India, architectural conservation has taken on a different meaning. The country has a continuous living tradition with crafts being passed down in an unbroken thread for several centuries. Employing these craftsmen not only upholds ancient traditions but creates employment and provides a building vocabulary that is both local and sustainable. The presentation will focus on the approach to conservation work through case studies of projects in and around the southern city of Hyderabad. It is the story of how attempting to understand the context and local culture has guided my work over the past eight years. Anuradha Naik is a conservation architect and has been based in Hyderabad since 2009. She studied at the Edinburgh College of Art and returned to India after having worked for two years at Purcell Miller Tritton, Canterbury. She has undertaken restoration at the Chowmahalla Palace in Hyderabad, a UNESCO award winning project. She has been involved in the restoration of the Domakonda Fort in the Nizamabad District for the past 7 years where she has revived traditional techniques and skills. She has been associated with the WMF funded restoration of the erstwhile British Residency and the Agha Khan Trust for Culture for work on the Qutub Shahi tombs complex. She was appointed by the Nizam’s Jubilee Pavilion Trust to design the City Museum of Hyderabad. She is a member of the Technical Committee, Department of Archaeology and Museums, Govt. of Telangana and is guest faculty at the Indian Institute of Technology Hyderabad. She is a founding director of the ICFAI School of Architecture, Hyderabad. The Scottish Registration Board are conducting this talk on SER Certification to provide Architects with a background to the Scheme, what it covers and how it is carried out. Specifically discussing Contractor Designed Elements and the need for close collaboration between Structural Engineers and Architects throughout the process. With a view to raising awareness of SER Certification and it’s impact on the design and Building Warrant process the Scottish Registration Board hope that an improved understanding of the various stages of the Scheme could help all design team consultants better manage relating factors within project programmes. Since the collapse of a wall at Oxgangs Primary in January 2016 safety inspections on school buildings across the country have discovered many situations of similar defects. We will hear about the typical defects that have been discovered, their causes and the ongoing implications and challenges of the Edinburgh Schools issue. Going forward, The Scottish Registration Board will explain how the SER Certification Scheme could help to prevent such design problems in the future. In this free talk, Simon Montgomery, an artist and caseworker for Historic Environment Scotland, will reflect about his private visit to Detroit Michigan, USA, in 2010 when the city, following decades of economic decline, was approaching its lowest ebb. The Scottish Civic Trust and Scotland’s Urban Past are co-hosting two different events for LGBT+ history month. In Edinburgh, LGBT Health & Wellbeing’s QTIPOC (Queer Transgender Intersex People of Colour) group will be creating a community map of Edinburgh at the City Art Centre on the afternoon of Saturday 2 February. Nathan Coughlan will first explain protected species and mitigation measures in architectural design and scheme development including the regulations, survey types and timings, and the potential for biodiversity enhancement. Phil Thompson will then explain how land quality (contaminated land and geotechnics) is assessed and what architects need to consider in their scheme design. In both instances, relevant case studies will be used. Nathan Coughlan is a Senior Ecologist at REC who has a strong knowledge of planning policy and legislation through his management of numerous ecological impact assessments and provision of ecological advice to local planning authorities. Prior to his senior role at REC, he was employed as a biodiversity officer with a local authority in the south-east. Phil Thompson has worked in the industry for 10 years, the first 4 of which was spent working on landfill engineering contracts across Scotland. He moved to REC to specifically work within the geo-environmental sector, working as part of team covering Scotland and Northern England. Philip now leads the Scottish geo-environmental team, covering a wide range of projects for both private and public sector clients with a specific focus on REC’s Local Authority Framework Contracts portfolio. The awards showcase and celebrate the very best architecture in the chapter area and beyond, which enhances the built environment and people’s lives, regardless of size, form or budget. The awards are also open to chartered architects working in other areas of the UK, who have completed projects within the chapter area. Short-listed entries will be displayed, and the winners announced and presented with their awards at a special reception at St Cecilia’s Hall in May 2019 (winner of the 2018 Regeneration & Conservation Award). The cultural heritage of Strasbourg was built within the context of a boundary city, in which different influences, mainly French and German, have contributed to shape a singular character. Nonetheless, the values attributed to the site are not only determined by the restrictive field of national considerations. They have continually evolved, and especially since the decades following the Second World War. From the heritage values recognised for the Old City, those of the urban extension (Neustadt) conceived during the German annexation from 1871 to 1918 were only attributed very recently, when the Neustadt was listed on the World Heritage List of the Unesco in 2017. The aim of the public lecture is to consider and to explore how this evolution has happened throughout time. Doctor in Geography and Land Settlement, historian of Architecture and Art and professional in World Heritage Management, Sophie Eberhardt is currently a researcher and teacher at Czech Technical University and Architectural Institute in Prague. She had her first work experience in cultural institutions specialised in architecture and heritage in France – notably at the Ministry of Culture, in Spain, Ireland, Luxembourg and Czech Republic –. She contributed to the coordination and elaboration of the application file of the Neustadt in Strasbourg (urban extension of the late 19th and 20th centuries) for World Heritage inscription successfully listed in July 2017. Both events run from 17:00-18:30. A&DS is currently looking for four new board members. The deadline for applications is 25 January 2019. To help prospective applicants, A&DS has organised a series of events. If you would like to attend one of these events or would like further details, please contact us on info@ads.org.uk or call 0131 556 6699. This masterclass will explore the history and significance of 500 years of education on the site of Edinburgh’s Old College, corroborating findings from historical sources, historical building surveys and a major archaeological programme. Tom has worked in archaeology, heritage and architectural conservation for 25 years and has long specialised in the recording and analysis of historic buildings. After undergraduate study of Archaeology and Anthropology, he gained an MA (with distinction) in the Conservation of Historic Buildings (York University). He has extensive overseas work experience (USA, Central America, Puerto Rico, India and elsewhere), and throughout Scotland and the British Isles on many important sites and structures, for example: Queensberry House (Scottish Parliament), Brodick Castle, Craigievar Castle, Newhailes House and Estate, amongst others, for the NTS; Lindisfarne Castle (NT); major excavations at Old College Quadrangle (Edinburgh University). Education Buildings Scotland Exhibition, Conference and Awards Dinner brings the Scottish education built environment and policy professionals together from early years, schools, colleges and universities for two days under one roof. 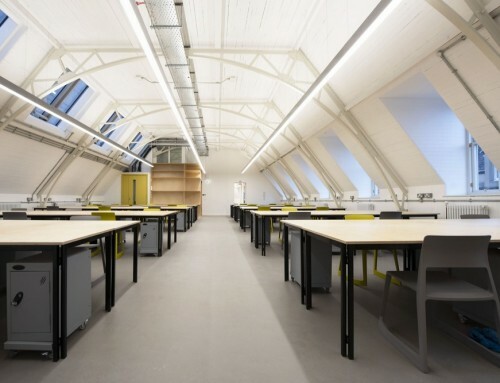 Whether attendees are looking at adding new buildings, considering refurbishing existing buildings or ongoing maintenance Education Buildings Scotland is here to help them. Sandy Liddell Halliday will share Howard’s enthusiasm about Ian McHarg – the Scottish Landscape Architect and pioneer of regional planning using natural systems. Born in Clydebank, Ian McHarg (1920-2001) established the Landscape Architecture department at the University of Pennsylvania, USA. His book Design with Nature (1969) pioneered “Ecological Planning” and is a seminal book on landscape architecture and land-use planning. 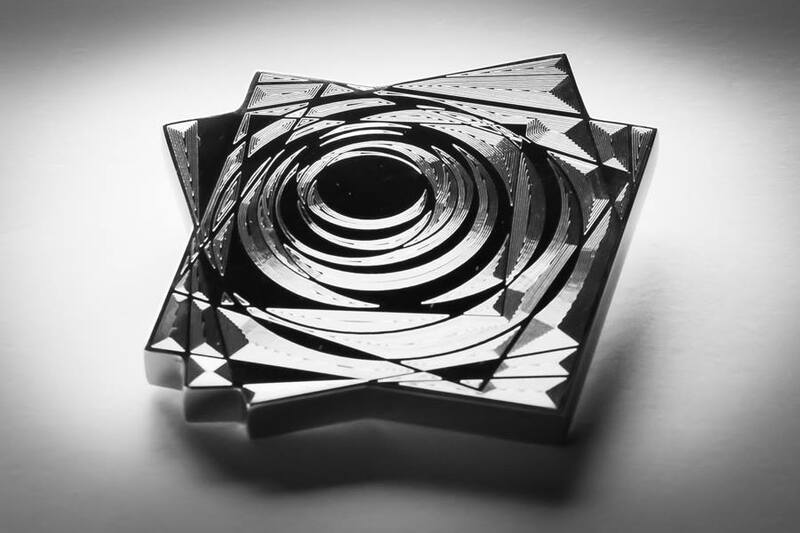 Join us to celebrate the Scottish Student Awards for Architecture, jointly promoted by Architecture and Design Scotland (A&DS) and the Royal Incorporation of Architects in Scotland (RIAS). You are welcome to join us for the whole day, just for the Chiff Chaff from 13:00 – 16:00, or just for the Lecture and Prizegiving from 17:30 -19:30. Please select from ticket options accordingly. 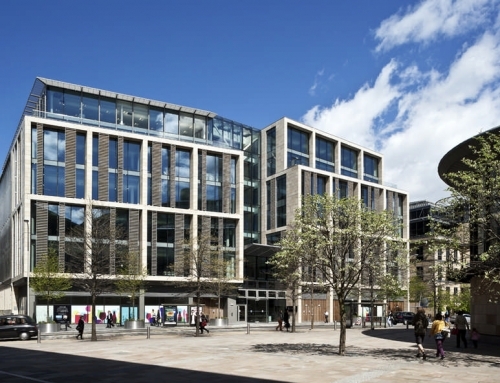 Practical initiatives to unite the Scottish real estate sector behind the principles of diversity and inclusivity will be put forward and discussed at an industry event in Edinburgh on June 26, 2018. 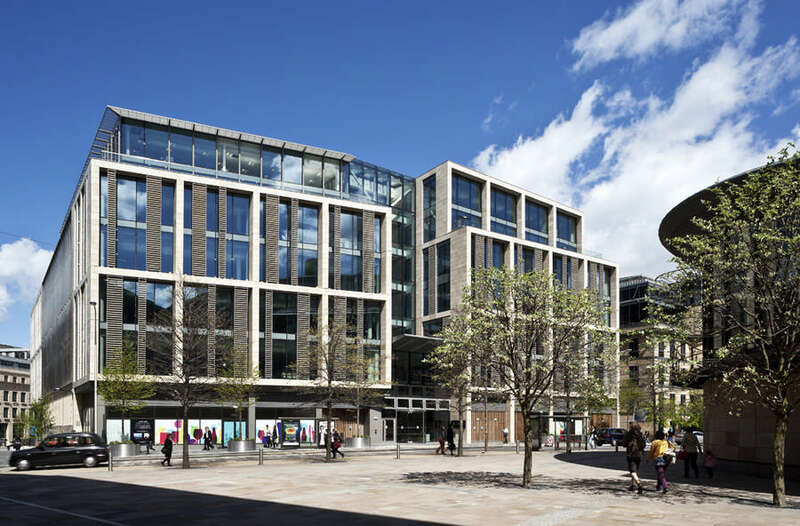 Led by the Scottish and British Property Federation (BPF), the Association of Women in Property, Freehold and Revo, the event will focus on inspiring best practice in the workplace and the built environment to allow people and businesses to flourish. The aim is to create a collective force for progress, with panel discussions on inclusive place-making and building a more diverse and inclusive industry. Chairing the event will be Brenda Jones, Developments Manager for Stornoway Port Authority and currently delivering their 2017 master plan. She has over 20 years’ experience in managing construction projects throughout Scotland and is the outgoing National Chairman of the Association of Women in Property. “This Diversity and Inclusivity Forum builds on similar successful events run by the British Property Federation and partners in London and Manchester, and I’m delighted that BPF President Paul Brundage will be joining the debate to lend a global perspective on these key issues. As an industry we have a pivotal role in inclusive place-making and appealing effectively to the changing communities in which we live and work. • As a membership organisation the Scottish Property Federation (SPF) is the voice of Scotland’s real estate industry. Established in 2007, SPF represents 185 organisations operating in Scotland. We include among our members: property investors including major institutional funds, developers, landlords of commercial and residential property, and professional property consultants and advisers. The SPF works closely with those who advise and decide on public policy in Scotland to ensure that they are aware of the consequences of their decisions for the property industry and wider economy. • As part of the British Property Federation we also benefit from close links with the leading UK property companies and investors in the UK as well as the BPF’s contacts with Westminster. • For more information, please visit http://www.scottishpropertyfederation.org.uk or follow us on Twitter @ScotPropFed. Thursdays, 5.30pm – 7.00pm, followed by a wine and nibbles reception in the Foyer of Adam House. Venue: Adam House Lecture Theatre, The University of Edinburgh, 3 Chambers Street, Edinburgh EH1 1HR. BOOKINGS: e-pay £20 (£5 students – must present with a valid ID card at the door). N.B. It is possible to add to the basket bookings for several delegates before proceeding to payment. RSA Fellows and guests, IIC Members and NGS Patrons, friends and supporters are warmly invited to attend this lecture, the second in an RSA Fellows’ Media, Creative Industries, Culture & Heritage Network (MCICH) Series to mark 2018 European Year of Cultural Heritage. The MCICH Network extends its thanks to the Diplomatic Academy, Vienna, National Galleries of Scotland and RSA Scotland for support of this event. Early booking is advised. Join EWHT comprehensive training session where we will explore all aspects of stonework from the quarry to the workshop and beyond. Take a bike tour of some of Edinburgh’s 20th century architecture, built in an era that is often maligned and excluded (rightly or wrongly, depending on your opinion) from the tourist’s popular image of Edinburgh. Please bring a bike in roadworthy condition. This illustrated talk by Alice Strang, Senior Curator, Scottish National Gallery of Modern Art, will focus on the publisher Thomas Nelson’s bequest for Nelson Halls in Edinburgh, the architect John A.W.Grant who designed Fountainbridge Library and the sculptor Charles d’Orville Pilkington Jackson, who created the stone carving and iron friezes on the library’s facades. It celebrates this important and rare example of Scottish modernist architecture, which opened to the public in 1940. The event will begin with a brief look at the outside of the building and its ground floor. Morten Kabell will speak on transport in modern cities and show how the bicycle should be and can be a major part of urban mobility in the future. Copenhagen today has a higher number of bicycles than cars crossing the city centre, and more than 60% of Copenhageners commute by bicycle on a daily basis; only 9% drive a car. The provocation for the Architecture Fringe 2018 – COMMON/SENSES – is explored through design, art and architecture. A Special General Meeting (SGM) Calling Notice was issued to all members on Thursday 7 June. An SGM is now called for 28 June 2018 to allow proposed changes to the Bye-laws to be considered by the wider membership of the RIAS. The approval of the proposed Interim Bylaws will allow the RIAS to move forward positively in this first phase of review and change. They will allow the election of the President to be opened up to all Members and any Member to stand for the Presidency. They will allow Students and Associates to vote for their Council Members who will be able to play an active part on Council. It is therefore very important that as many members as possible attend the SGM and make their views known. A 75% vote in favour is required for approval. We hope you will join us. Cost: £10 (£3 students). Free entry for the University of Strathclyde and the University of Edinburgh staff and students. Spain reached the first years of the XIX century having assembled a very rich multicultural heritage. From then on to today, that unique heritage underwent the impact of ravages of wars, reiterated disentailment laws and side effects of both economic development and financial crises. This is a state of the art account of the shifting paradigm informing actions to preserve, enhance, increase, restore and revitalize the cultural heritage of Spain, coupled with large area, territorial and landscape actions, society reading, typology studies, etc, portraying both the mutual dependencies of those approaches and their synergies, and illustrated with examples of World Heritage cities and other historic areas. Jointly organised by the MSc in Architectural Design for the Conservation of Built Heritage at the University of Strathclyde, the MSc in Architectural Conservation at the University of Edinburgh and Edinburgh World Heritage. “Submitting your Applications for Planning Permission and Building Warrants” – talks by Nancy Jamieson (CEC Planning Team Manager) and David Givan (Service Manager in Planning and Buildings Standards) with Ken Baillie (planning application validation technician). The IDAM Conference 2018 will explore, examine and discover excellence in the design and the use of major public investment projects in the cultural and governmental sectors. Our next meeting will consider how the Scottish Parliament can help find solutions to the known challenges and how stakeholders can support a cross party working group on the topic. Our speakers will be David Gibbon MRICS MCABE a RICS Certified Historic Building Professional from the Tenement Action Group, Professor Douglas Robertson who has spent his career researching private housing issues and the third speaker is yet to be confirmed. Their short presentations will be followed by an open discussion chaired by Tavish Scott MSP. The EAA and SEDA invite you to an afternoon to discuss and address how problems of polluted internal environments in low energy buildings can arise, and what can be done to address this. A talk on the general principles, validation requirements and related documentation. Exploring common pit falls and confirming assured way to successful application for consents. There will be ample discussion time also for any related queries with knowledgable officer dealing with on the ground issues attending. Nancy Jamieson is a team manager with the City of Edinburgh Council Planning Service. She is a chartered town planner with a background in listed buildings and conservation but now leads a team dealing with service improvements as well as statutory functions such as local reviews and appeals. She is part of the Heads of Planning Scotland editing team who worked on the National Validation Standards. Scott Brownrigg invite you to attend their Charity Quiz Night, in support of Hopscotch Children’s Charity. Dr Elizabeth Darling is Reader in Architectural History at Oxford Brookes University. Her work focuses on gender, space and reform in the 1890s – 1940s. Elizabeth offers us a different perspective on urban reform in the Old Town, highlighting the many women working around the same time as Patrick Geddes, and the change they effected in environments in and around the Canongate. The masterclass will combine a wide-ranging international overview of the evolution of mass housing during the 20th and early 21st centuries with focused explorations of local housing ‘hotspots’, including the phenomenal hyper-dense housing programmes of Hong Kong and Singapore. You will also be able to hear about the ongoing work of an innovative University of Edinburgh project seeking to document and re-evaluate the importance of post-war multi-storey public housing projects in the UK. The Edinburgh Chartered Architects Network is holding a CPD on the fire safety of thermal insulation. Presentations will be given by Sandy Killbourn from Gartcarron Fire Engineering Ltd, Craig Biggins from Knauf Insulation UK, Emmet Carolan and Tony Ryan from Kingspan Limited and Angus Law, BRE Lecturer in Fire Safety Engineering at the University of Edinburgh’s School of Engineering. Please note that only ECAN members may attend the Business Meeting prior to the CPD event. In recent times acts of terrorism are becoming more frequent and are targeting individuals, public spaces, and organisations. Designers, Principal Designers and Clients need to consider the spaces they are designing to safe guard these (as far as is reasonably practicable), using the best information and resources that are available that will mitigate against a terrorism event. Clive Johnson the Group Head of Health, Safety & Security for Landsec will be presenting and discussing the impact of anti-terrorism and his experiences. He will explain the way Landsec are addressing the changing climate around security in the environments that we occupy. This talk will focus on Building performance, including lessons learned. Final details to be confirmed. Stage 5 Architecture students have created an exhibition covering a variety of issues affecting Scotland today. Each unit has created their own investigation on their chosen area, which range from the rural Northern islands of Scotland to the densely populated urban cities in the central belt. Tom Parnell is an architectural historian, and is currently a Senior Casework Officer for Historic Environment Scotland. He has a personal interest in the built heritage legacy of railway development and de-development. His talk looks at railways in Edinburgh, particularly the dash for Leith in the later 19th Century, examining what might have been, what was lost and what legacy survives today. This is the first of planned ongoing monthly meetings to collectively discuss and evolve the application of Building Information Modelling (BIM) in the Highlands & Islands and Moray regions. Each month it is proposed that short, engaging presentations and discussions take place on BIM. This new group is being formed to accommodate people interested in BIM from wide ranging areas of the construction industry, no matter what segment they are in or what software they use. The first meeting will be chaired and presentations will be given by Nicola Jackson – Group Convenor + Technical Manager at Robertson Timber Engineering. Going forward, group members will have the opportunity to give short presentations that demonstrate what can be achieved through a system of digital knowledge sharing and collaboration. We’re hosting a Pecha Kucha event for the first time ever at John Sinclair House! Join us to hear inspiring experts from the city’s architecture and archaeology professions. The presentation style is fun and frantic: our speakers power their way through 20 slides, each shown for 20 seconds, telling us of their Christmas wishes. There’s no time to stop… aside from the time we’ve set for mulled wine and festive snacks. Advent returns for the month. are usually closed to the public. Environment Scotland’s rich archival resources. collectable stocking-filler for yourself or a friend! Community Land Scotland is holding a seminar aimed at land agents, chartered surveyors, solicitors, accountants and other professionals that work with landowners an update on community landownership in 2017. As a land professional in Scotland, we hope that this event will give you the opportunity for business growth in an emerging sector and a good understanding of the advisory/support requirements of the community land sectors. A soup & sandwich lunch will be provided on arrival. The heritage specialist Steven Robb of Historic Environment Scotland will talk about the interwar designs of Edinburgh’s City Architect, Ebenezer James MacRae. MacRae became City Architect in 1925 and took over responsibility for housing from the City Engineer, Adam Campbell, the following year. Whereas Campbell had experimented with different building types and prefabrication, MacRae returned to traditional masonry construction, holding firm against Modernism, until wartime restrictions caused a change in direction. His work shaped much of the city outside its centre and visualises the conflicting positions held about Modernist architectural design. CIOB is partnering with Architecture and Design Scotland, to run a series of CPDs. These CPD’s will be provided by experts from the Stone Federation GB, British Geological Survey and National Federation Of Roofing Contractors. This is a fantastic opportunity to learn more about each of the subjects in the context of the fascinating Mackintosh Building Restoration. The Dundee Institute of Architects invites you to join them at their annual Awards Dinner on 16th November at the Invercarse Hotel in Dundee. Last year over 180 guests joined to celebrate the best architecture in the Chapter area. The black tie event will start with a drinks reception at 7pm and dinner at 7.30 followed by the Awards ceremony. The guest speaker for the night is Jim Leishman, Provost of Fife. The RIAS prepared an outline strategy plan, which was reviewed by RIAS Council in June. A second edition of the strategy has subsequently been collated and now includes a reflective review of the Incorporations endeavours since 2007. This current draft was issued in the RIAS eBulletin on 15th September 2017 seeking member feedback. The Edinburgh Architectural Association would like to invite you to an open forum discussion workshop about the future aims and aspirations of the RIAS. The Chapter is looking to obtain and collate member views. The Chapters are holding workshops, based on the draft strategy, to provide a forum for members to discuss and share ideas. The collective views obtained will be documented and fed back into the final strategy plan for the Incorporation. Please come along to the EAA workshop to help shape the future of your RIAS. Introduced by Edinburgh Architectural Association President, and 2017 EAA Awards Judge, Julie Wilson, the EAA has brought together architects from four different practices to talk about their 2017 award winning projects. Presenters and Facilitators: Reiko Goto Collins, Prof Mark DeKay and Susanne DeKay, Luke Devlin, Nancy Van Kirk, Prof. Ullrich Kockel, Prof. Máiréad Nic Craith, Kenny Taylor and Dr Ian Wight. Date: Saturday 21 October 2017. Time: Registration: 9.30am-10am. Event: 10am-5.15pm. Event Description: This Day Conference and Evening Cultural Celebration will look at issues associated with Spiritual and Integral Ecology Perspectives on Art, Place and Nature, and the evening event will celebrate writings and creativity associated with the theme. Scottish modernist buildings, from St Peter’s Seminary to the Forth Road Bridge, and has been compiled by final year students at the Scott Sutherland School of Architecture in Aberdeen. This collection of beautiful models and informative display panels, showcases an ambitious era of design, that propelled a generation of Architects careers. The month of September will see the whole of Scotland celebrating Scottish Architecture, its legacy and in particular, this year’s special theme, our homes, reports the RIAS. Many different types of events will engage a wide audience throughout Scotland, from school groups to professionals, from the Capital to the islands. Some will be founded on participation and hands-on experience, some purely entertainment, others more educational and even challenging. Accessible, appealing and within reach of everyone, this Festival will ensure that people across Scotland become more confident about engaging with architecture and all aspects of the design of our public spaces. If you have an idea how to support architecture and make it more accessible for the whole of Scotland, we want to hear from you! All events with an architectural theme will be considered, they can be of any scale and any format. RIAS is providing the opportunity for events organisers to access support finance to enhance existing or create new activity, reflecting the themes and supporting the aims of the Festival. Applications must be made on the application form and submitted by email to the RIAS Festival of Architecture teaminfo@festivalofarchitecture.scot by the 30th June 2017. The RSA is delighted to announce that Sir David Chipperfield will present this year’s event. Sir David is the first British architect to do so, and has a truly international practice, with buildings in Japan, Germany, Mexico, Korea and elsewhere, as well as in the UK. (His Hepworth Gallery in Wakefield has recently been recognised as one of the county’s best.) In an interview, which will be published and available at the event, he talks about how he started, the problems that international investment creates in cities, and how to help people like modern architecture. Now in its fourth year, the annual Royal Scottish Academy Metzstein Architecture Discourse was founded in 2014 in memory of Isi Metzstein (1928 – 2012), partner of the Glasgow practice of Gillespie Kidd and Coia, Professor of Architecture at the University of Edinburgh and Treasurer of the RSA. The proposition was simple: to bring to Scotland the world’s best architects and thinkers and to invite them to give a discourse. Isi Metzstein was not just a remarkable architect and teacher he was perhaps for generations of students and architects who knew him above all an astonishing polemicist. Isi believed that architecture was its own discipline and subject to a logical and penetrating analysis. The inaugural Discourse in 2014 was Alvaro Siza from Portugal, followed in 2015 by Glenn Murcutt from Australia and in 2016, Peter Zumthor from Switzerland. The RSA is indebted to the continuing support of the Scottish Governement. ‘Lines of Thought’ is an exhibition about architectural drawing and representation centring on the work of renowned architect Alexander Thomson. Curated and organised by the Alexander Thomson Society it celebrates the bicentenary of Thomson’s birth through a selection of original drawings and those of others who have later recorded or interpreted his work in a range of media including pen and ink measured studies, detailed digital renderings, precision models, journals, sketches, film and the more abstract work of artists. 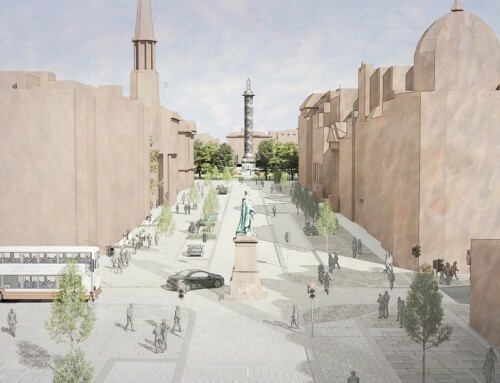 The intention is to reveal the industrious, creative as well as the more complex side of the architect, his prolific imagination and uniquely creative architectural contribution to the architecture of the city of Glasgow and the Clyde estuary. Speakers and Facilitators: Petra Biberbach, Lord Charles Bruce, Russell Clegg, Prof Bashabi Fraser, Dr Tom Kane, Roger Kelly, Prof Murdo Macdonald, Mike Small and Dr Ian Wight. Date: Saturday 23 September 2017. Registration: 6.30pm-7pm. Evening Cultural Celebration: 7pm-9pm. Event Description: This Day Conference and Evening Cultural Celebration will look at issues associated with Patrick Geddes, ‘spirit-in-action’, ‘the place of spirit in his own work’. and ‘the nature’ of his ‘spirit-at-work’. What is still to be learned, from Geddes then, for our work in the world today? Framed as ‘a learning journey’ or as ‘an inspiration inquiry’… traversing ‘the world without’ and ‘the world within’…, and the evening event will celebrate writings and creativity associated with the theme. The Rest and be Thankful is known throughout the motorsport world as a venue of international significance. This famous road is located just off the A83 in the south of Argyll and Bute, a road that connects the western shore of Loch Lomond, to Campbeltown at the southern end of the Kintyre peninsula. 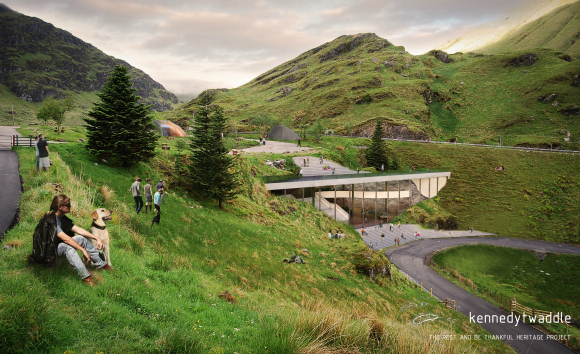 KennedyTwaddle Architects has designed an iconic multi-purpose building that will celebrate Scottish motorsports heritage. The aim is for it to be a destination building housing a permanent exhibition and education centre, whilst also providing an events space and multi-use facilities available to local businesses. Sitting within the majestic landscape, the form of the building has been inspired by the surroundings while remaining sympathetic to its context. A subtle design, quiet but visually exciting, it focuses on accentuating the natural amphitheatre of the valley by framing the views south. This exhibition demonstrates the full potential of the project and the creative ambition of all involved. The IAA are pleased to be holding Sketch-i-ness 2017. This is a one day event to celebrate Festival of Architecture 2017 and is open to all ages and abilities. Picking up a sketchbook and pen is a great way to appreciate urban architecture – please come and join them on their sketching tour through Inverness. They will even supply the pens and paper. ECAN is inviting you to join their visit to Straw Bale Studio at Sunnyside. The afternoon will include a presentation about materials and techniques of construction here and in other projects, discussions on regulations and control, with particular reference to the July 1 change to the Building Regulations introducing a new building type 23A for “detached single-storey buildings used for shelter or sleeping in connection with recreation” and the forthcoming Good Practice Guide to Hut Building. You will also see a demonstration of the Energy Calculation Software. Conference: Traditional Buildings – Fit for Energy Efficiency? The event will focus on the challenges and some potential solutions when retrofitting energy efficient improvements into traditional buildings. There will also be exhibitors present, demonstrating some of the materials and service solutions available to practitioners. The event will be hosted by Historic Environment Scotland. The venue is the parade square of the South Barrack Block within Fort George, whilst all presenter and exhibitor areas are under cover please dress appropriately for whatever weather a scottish summer day might offer! – Professor John Edwards, MA, Dip Bldg Cons, BCAS, CEnv, FCIOB, FRICS, IHBC – Edwards Hart Ltd – Making Older Buildings Energy Efficient – The Essentials. – Roger Curtis – Historic Environment Scotland Conservation Group – HES research findings on energy efficiency improvements to traditional buildings. – Professor Stuart MacPherson, Irons Foulner Consulting Engineers – Low Energy Technology for Sustainable Traditional Buildings: What works……and what doesn’t. Nominations have opened for the third Scottish Heritage Angels Awards in a bid to find those groups and individuals – or ‘Angels’ – who have played a special part in caring for, recording and celebrating the nation’s historic environment. How to win work through innovative design? Often seen as an issue only for contractors, in reality early design decisions have a big impact on the volume of construction waste created within a project. This event, run by Resource Efficient Scotland in association with RIAS will outline how designers can make bids stand out through use of resource efficient design practices. The event will include guest speaker Gill Scampton from Pedder and Scampton Architects, winner of the RIAS Zero Waste Scotland Resource Efficiency Award 2017. The Alexander Thomson Society and the Glasgow Institute of Architects are inviting architects and students below the age of thirty to submit a persuasive essay on the theme of legacy. Architecture has the unique opportunity to have an active dialogue through time. Reacting to what has come before, responding to the present and place-making to facilitate life in the future. As such, the discipline is intimately concerned with the idea of ‘legacy.’ Whether by a movement, a culture, a person, or a mark on a page, we are informed by that which precedes us. We tap in to an eternity of resources which, in turn, inform what we leave our successors. What will speak for you long after you are gone? A sum of £1000 will be awarded to a single winning entrant at the discretion of the judges. The winner will also have their entry published and will be invited to speak about their submission at the GIA’s ‘paper_CUT’ event in September 2017. Providing an introduction to postgraduate study in architecture, this three week studio-based design programme gives you the opportunity to explore and experiment with contemporary architectural and urban design. The design project will require you to develop an understanding of the range of scales between people, buildings, city and metropolitan landscape, combining creative fieldwork with interpretive historical paradigmatic research and design. You will have the chance to develop your techniques in creative fieldwork, using specific artefacts and sites of study to assess the context of the design project and the relevant spatial interventions and urban design principles. This course is ideal for students with a background in architecture or urban design who are considering postgraduate study. BIM – What Software or Technology do I use? Brought to you by CSIC and Digital Guerrilla, this five part series of breakfast briefings contains all you need to know regarding how to plan for and implement BIM in your construction-related business. The next session will take place on 29 July. – What software should I choose? – How much will all this technology cost me? – Who do I get to do the training and who will support us? Intended Participants: Senior management, Directors (IT), decision makers ,as well as those responsible for BIM in their organisation. As part of the festival of Architecture 2017 the Incorporation is producing a glossy 240+p.p. publication which will be distributed throughout Scotland. With a RRP of £25 this publication will be an important marker of the very best of contemporary architect designed housing in Scotland. It will be distributed to leading developers, businesses, politician and opinion formers to influence the design of housing in Scotland in years to come. The publication will feature 100 ‘one off’ houses or housing developments in Scotland since 2000. An exhibition will showcase the winning entries alongside the publication. Architecture practices will be invited to submit their schemes with a deadline of 10 July 2017. The Architecture and Design Scotland (A&DS) and the Royal Incorporation of Architects in Scotland (RIAS) Scottish Student Awards for Architecture showcase and celebrate the best of Scotland’s emerging talent. The event takes place on13th July at Cafe Camino in Edinburgh, with presentations from this years nominated students. In 2017, for the first time, judging will take place at a public event where each of the 15 students will have 5 minutes to present their own work to the judging panel and audience. The 2017 Andy MacMillan Memorial Lecture will be given by guest judge Sunand Prasad PPRIBA Hon FRIAS of Penoyre Prasad and will focus on his recent work and architectural philosophy. 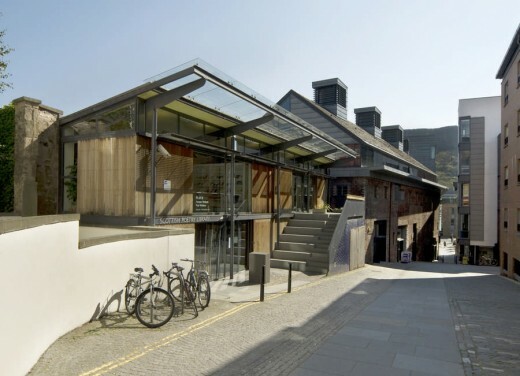 This year SEDA will head to The Engine Shed in Stirling – Scotland’s new building conservation centre. Inspired by the venue, this year’s theme is Conservation / Restoration / Retrofit. and some turf and mud heritage from Iceland and Scotland. There will also be a a building tour, lunch, tea/coffee and biscuits too! In the morning SEDA will hold their AGM, which will include some interesting SEDA updates including SEDABuild School, The 100 Sustainable Scottish Buildings book and the KJ Awards. Includes lunch, tea/coffee and biscuits. In the afternoon, you can choose from two exciting activities – a photography competition and a cycling tour of Stirlingshire (its possible to do both). Bookings being taken for this year’s RIAS Awards Dinner 2017 on 14th June at Murrayfield Stadium, Edinburgh. This year’s Awards Dinner is generously sponsored by GEZE, Hadden Construction, Nevin of Edinburgh and Tobermore. *ESALA students and RIAS student members can attend this event for free, please book tickets through Eventbrite and bring a valid student card to the event. In the third of a series of new lectures and workshops the EAA welcomes Peter Head, an engineer who is a recognized global leader in the implementation of resilient and sustainable city development. The aim of Peter’s lecture and workshop is to bring forward and consolidate the developing visions for Edinburgh in 2050 and to map out a practical implementation process, including how financing and decision making could move forward through a collaborative process. Following Peter’s session there will be contributions from local professionals, consultants and groups, leading on to a workshop which will look at the visioning for Edinburgh, and how we can collectively contribute and support change to make a better future. Early booking is recommended! This seminar will constitute excellent CPD and we anticipate that places will sell out fast. The RIAS conservation spring seminar is now open for bookings. Chaired by RIAS Secretary, Neil Baxter, topics will include conservation work at the Capitol, Washington DC, and the Scottish architectural legacy in India. 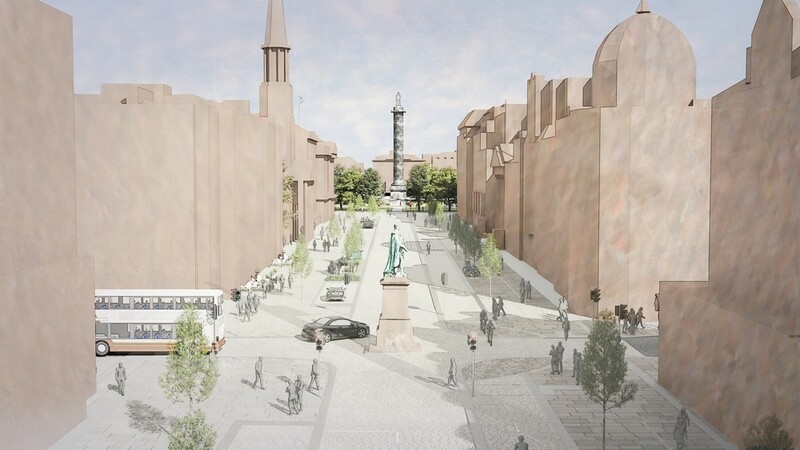 The technical components will include climate change adaptation for traditional buildings, interpreting thermal imaging and advice on working with lime for pointing and harling, including specification advice and guidance on the causes of failure, 3D laser scanning technique as used in the restoration of Glasgow School of Art. If you wish to book a place, please complete a booking form and email to Hayley.Kyle@rias.org.uk. The RSA Annual Exhibition is a focal point of the RSA programme. It showcases work from RSA Academicians and invited artists from Scotland and beyond. Now in its 191st year, it continues to provide a platform for contemporary painting, sculpture, film, printmaking, photography, installation and architecture. The convenor of this year’s exhibition is Marian Leven RSA. In addition to convening the exhibition, she has also invited a number of guest artists from across the British Isles who are at various stages in their careers, working in different media and in different environments. This year the annual RIAS International Convention will take place from 12 – 13 May in Stirling. The LIS AGM will be held on the evening of Wednesday the 26th of April in the Hunter Lecture Theatre at Edinburgh College of Art between 6-9.30pm. Before the AGM there will be a celebration of the life and work of the late Mark Turnbull followed by the posthumous presentation of the Landscape Institute’s Gold Medal to Mark’s wife, Sharon, by President, Merrick Denton-Thompson. The EAA awards results will be announced at a celebratory drinks event at the Edinburgh Centre for Carbon Innovation on Wednesday 19th April 2017 from 6pm-9pm. 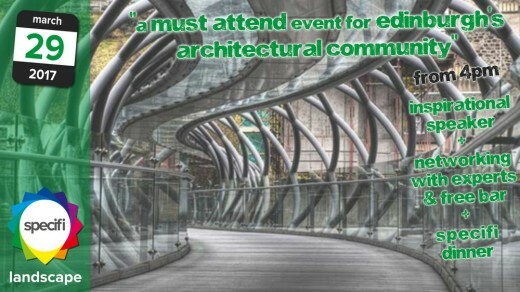 A limited number of tickets for the event are available free of charge to architects within the Chapter area of Edinburgh, the Lothians, the Borders and south Fife. These can be obtained by applying to Stuart Bryce at mail@eaa.org.uk. Tickets will be allocated on a first-come, first-served basis. Prof. em. Luc Verpoest has been teaching history of architecture (19th and 20rh century) and history and theory of architectural preservation. Research was focused on the 19th century Gothic Revival in Belgium, Modern Architecture and architectural preservation. Luc Verpoest is Honorary Chairman of Monumentenwacht Vlaanderen (Monuments Watch Flanders), of which he is now chair of the Advisory Board; member of DOCOMOMO (International working party for Documentation and Conservation of buildings, sites and neighbourhoods of the Modern Movement) and former coordinator of DOCOMOMO Belgium (and now its Honorary Chairman); member of ICOMOS; former member of the Koninklijke Commissie voor Monumenten en Landschappen Vlaanderen (Royal Commission of Monuments and Sites Flanders); board member of the Fonds Henry van de Velde / La Cambre, Brussels. Prof. Barbara van der Wee is professor and Program Director at the RLICC / KU Leuven. She is responsible for the IPW 3 / Integrated Project Work Architectural Conservation, which is aimed at applying the theoretical input of taught courses into the architectural conservation project work, also connecting with excursions and workshops. She is a practicing architect with office in Brussels (Barbara Van der Wee Architects BVBA) and specialized in the conservation and restoration of buildings of the end of the 19th century and the beginning of the 20th century, more particularly the major works of the Belgian Art Nouveau architect Victor Horta. Thursday, 6 April 2017, 5.30 – 7.00pm (followed by a wine and nibbles reception). The lecture will include references to the building of Persepolis and its modern restoration, as well as examples of the conservation and restoration of Iranian historic cities and the development challenges at the present. Mehr Azar Soheil has an M.Sc. in Architecture from Tehran University. She received specialised training in conservation at ICCROM and the Scuola di Perfezionamento di Restauro at the Sapienza University of Rome, where she obtained her PhD. Her doctoral thesis discusses the significance of monument in the Achaemenid Empire. She is the acting secretary general for ICOMOS Training Committee, member of the Theory and Philosophy Committee, and the Scientific Committee of ARCo Association in Italy. Her publications include articles on conservation. She has participated in international conferences and lectured in conservation training programmes. Thursday, 30 March 2017, 5.30 – 7.00pm (followed by a wine and nibbles reception). Eleni Kanetaki, National Technical University of Athens. The lecture is going to focus on the architectural interventions which were concluded in Athens during the past decade, starting from the preparation of the city for the 2004 Olympic Games, aiming at an urban regeneration combined with the enhancement of cultural heritage remains. The ambitious upgrading programme presented multiple cultural goals, by means of creating pedestrian routes, including the restoration of ancient monuments, the incorporation of historical sites and registered monuments, the rehabilitation of residential areas as well as the renovation of important building facades situated along selected streets, the remodelling of streets and squares/public green spaces inside the Athens’ Historical Triangle, and the improvement / relocation of public infrastructure. Specifi Landscape hits Edinburgh on the 29th March 2017 at The Assembly Rooms. The event is packed full of value, including a world-class speaker, networking and expo, a complimentary bar and is all wrapped up with our Specifi dinner. This event is perfect for architects of all levels who have an interest in landscape architecture, space making and urban planning. Formerly a Director with AECOM, Gary was part of the team that delivered large-scale projects including the London Olympic Park & Whitehill Bordon Eco-town. This inspirational talk will challenge how you think about urban planning and water management and look at how new ideas are contributing to the schemes we need for the future. The most valuable part of our event, network with 100 professionals from your design community and meet 20 specification experts from the UK’s leading urban and landscape suppliers. All in the space of a couple of hours, at a time that suits and all on your doorstep. Oh… did we mention the free bar? Free for attendees, our Specifiers Dinner is a relaxed affair (definitely no black tie here) and makes Specifi like no other event in the urban and landscape architecture calendar. Register for your free tickets and we will send you the Menu so you can choose from the delightful choices on offer from our hosts at The Amarone Restaurant. Thursday, 16 March 2017, 5.30 – 7.00pm (followed by a wine and nibbles reception). The talk will review some current management strategy options for important areas in Scotland which are often referred to as being ‘wild’, but which are, in fact, in World Heritage Convention terms, ‘organically evolved’ and/or ‘associative’ cultural landscapes – either ‘relict’ or ‘continuing’ – long used for various human purposes, although the physical traces of these activities are often not obvious to the casual viewer. In addition to their considerable international intrinsic value, such areas are increasingly valued today for recreation and eco-tourism. The impact of anthropogenic activity in a range of examples of such areas, and the implications of this for policy and management, will be considered and discussed. Dr Patricia Macdonald BSc FRSE FRSA FSA(Scot) Hon FSGS HonFICS is an environmental academic, artist-photographer, Honorary Fellow at the University of Edinburgh, and former board member of Scottish Natural Heritage. Angus Macdonald BSc PhD FSA(Scot) HonFSGS is Professor Emeritus, and a former Head of School, at the University of Edinburgh, and has served on the Royal Commission on the Ancient and Historical Monuments of Scotland. The Macdonalds work together internationally – editorially and as artists – researching and interpreting cultural landscapes, often from the air. Their artworks are held in collections worldwide, and they are sole or joint authors of ten books and numerous exhibition catalogues and articles. Thursday, 9 March 2017, 5.30 – 7.00pm (followed by a wine and nibbles reception). Historic Environment Scotland cares for over three hundred Properties in Care on behalf of Scottish Ministers, continuing a 700 year old tradition of state care in Scotland. This lecture will explore the changes in approach that have been developed as HES has come into being and a new approach to asset management. It will offer some thoughts on what conservation of these public assets might look like in the future and how the delivery of our work can add significant value beyond the narrow focus of the past. Dr David S Mitchell is Director of Conservation for Historic Environment Scotland with responsibility for the Properties in Care of Scottish Ministers and associated collections. He also leads on technical conservation issues including science and research, traditional skills and materials. He has a strong interest in industrial heritage and the application of digital technologies for heritage. Thursday, 2 March 2017, 5.30 – 7.00pm (followed by a wine and nibbles reception). Heritage and Sustainability are often assumed unrelated, and consequently, studied separately. On the one hand, heritage is assumed focused on material resources, driven by past values, primarily historic. On the other hand, sustainability is assumed focused on people, driven by present and future values, primarily economic, social and environmental. Though, recent studies contradict this opposition revealing the economic, social and environmental values of heritage and the sustainability in historic values. Being a social construction, heritage was found people-driven, material and immaterial, movable and immovable, natural and cultural. This lecture aims to discuss the controversial relation between heritage and sustainability. Ana Pereira Roders is currently Associate Professor in Heritage and Sustainability, at Eindhoven University of Technology, the Netherlands. She has a wide range of work experience abroad and interdisciplinary cooperation, spanning the fields of architecture, urban planning, law, environmental management and computer sciences. Her research interest is the dual relation between heritage and sustainability in historic urban landscapes. She has a particular interest in integrated assessment and evaluation frameworks to better monitor and strengthen the conservation and use of cultural heritage worldwide. Ana Pereira Roders is also the founding co-editor of the Journal Cultural Heritage Management and Sustainable Development, Emerald. GIA CPD Event 6 – Building Tight – Ventilating Right? Studies of ventilation in new homes. Changes in buildings standards and construction techniques have led to increasing ‘tighter’ buildings, with much lower levels of air infiltration. This has been an important step toward making more energy efficient and comfortable buildings. However, it also means that the vast majority of ventilation provision in homes now has to be ‘designed’. 40th annual series of Architectural Conservation Masterclasses starting on Thursday, 26 January and featuring leading national and international experts in conservation and connected disciplines. Thursday, 26 January 2016, 5.30 – 7.00pm (followed by a wine and nibbles reception). Full series listing and bookings will be circulated soon. Policy priorities for housing over the next Parliamentary period. • Also follows the passage of the Private Housing (Tenancies) (Scotland) Bill. • Next steps for the housing policy in Scotland – informed by a contribution from Lesley Fraser, Director for Housing, Regeneration and Welfare, The Scottish Government. Keynotes: Lesley Fraser, Director for Housing, Regeneration and Welfare, The Scottish Government; Nicola Barclay, Chief Executive, Homes for Scotland; Kay Blair, Chair, Scottish Housing Regulator; Amanda Britain, Associate Director, Craigforth and Chair, CIH Scotland; Dan Cookson, Head of Research, PRS 4 Scotland; June Gilles, Head of Planning, Davidson Chalmers LLP and David Melhuish, Director, Scottish Property Federation. Further confirmed speakers include: Douglas Cochrane, Head of Housing Development, Lloyds Banking Group; David Goldie, Head of Housing and Building Maintenance, Highland Council; Hew Edgar, Policy Manager, Scotland, RICS; Adam Lang, Head of Communications and Policy, Shelter Scotland and James Strang, Chief Executive, Parkhead Housing Association. Chair: Kate Forbes MSP, Member, Environment, Climate Change and Land Reform Committee has kindly agreed to chair part of this seminar. Further senior participants are being approached. Places have been reserved by officials from The Scottish Government and the Valuation Office Agency. Also due to attend are representatives from Aberdeen City Council; ALACHO; ARK Housing Association; Austin-Smith:Lord; Bield Housing & Care; Big Society Capital; Brodies; Burness Paull; Cairngorms National Park Authority; CALA Homes (West); CBRE; Certsure; Chartered Institute of Housing Scotland; Clyde Gateway; CMS Cameron McKenna; Cockurn Association; Cruden Homes (East); Department for Social Development; Disabled Persons Housing Service Aberdeen; Dunedin Canmore; East Ayrshire Council; Edinburgh Cyrenians; Edinburgh Napier University; Esh Developments; Everwarm; Fife Housing Group; Get Rugged SCIO; Gillespie Macandrew; GL Hearn; Harper Macleod; Hebridean Housing Partnership; Houseability; Hub West Scotland; Hurlford Tenants & Residents Association; ILiS; INCH Architecture & Design; Keepmoat Homes; Link Group; Loreburn Housing Association; Luc; Maclay Murray & Spens; Mactaggart & Mickel Homes; MAST Architects; Max Fordham; Nathaniel Lichfield and Partners; Neo Environmental; Newton Property Management; NG Homes; NLP; North Ayrshire Council; Ogilvie Construction; Orkney Islands Council; Page Park Architects; Peter Brett Associates; Peter McVerry Trust; Reliance Worldwide Corporation; RSM; Rural Housing Scotland; SafeDeposits Scotland; Saltire Society; Scottish Land & Estates; South Lanarkshire Council; Stirling Council; Tenants Information Service; The Highlands Small Communities Housing Trust; The Salvation Army; TPAS Scotland; Travis Perkins Managed Services; University of Stirling; University of the Highlands and Islands and West of Scotland Housing Association. Please pay in advance by credit card on 01344 864796. • Concessionary rate places (see conditions): £80 plus VAT. Please be sure to apply for this at the time of booking. • Concessionary rate: £50 plus VAT. Concessionary and complimentary places are made available in certain circumstances (but do be advised that this typically applies to individual service users or carers or the like who are not supported by or part of an organisation, full-time students, people between jobs or who are fully retired with no paid work, and representatives of small charities – not businesses, individuals funded by an organisation, or larger charities/not-for-profit companies). Murphfest – 1 & 2 October – a celebration of 25 years of Richard Murphy Architects in Practice. Cost: Seminar and Coach Tour – £54 (inc VAT) Ticket price includes Seminar and a picnic bag during the tour. Seminar only – £12 (inc VAT). To book contact Emma Lucas at the RIAS,by email emma.lucas@rias.org.uk or phone 0131 229 7545. Chaired by Neil Baxter Hon FRIAS, Secretary of The Royal Incorporation of Architects in Scotland, speakers include Simon Green, President of the Architectural Heritage Society for Scotland, Simon Henley, Director, Henley Halebrown Rorrison, Dawn McDowell, Deputy Head of Designations (Listing) Historic Environment Scotland, Diane Watters, Buildings Investigator, Historic Environment Scotland and Rebecca Wober, Architect and Author. Visits will include The Rigg & The Studio, Gattonside; High Sunderland; Bernat Klein Studio, Gala Fairydean Stadium and Dingleton Hospital Boilerhouse. 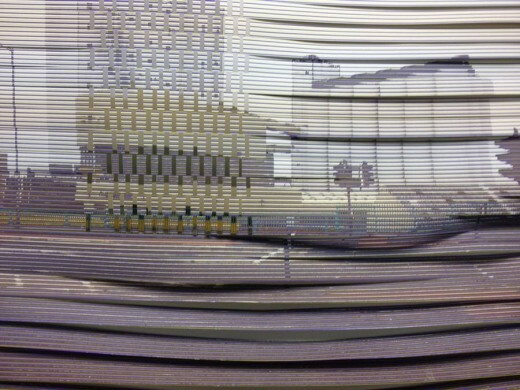 The coach will return to the National Gallery, with one stop in Galashiels for those wishing to remain in the Borders. This event invites companies and organisations to submit their challenges to this event, at which some of Scotland’s leading expertise will look to identify pathways to possible solutions. AIMday (Academic Industry Meeting) is a one day event which allows companies to submit a question or commercial challenge within the chosen AIMday topic which will then be discussed in a one hour workshop. Multi-disciplinary academics from across The University of Edinburgh with significant practical experience within the construction industry can then self-select those workshops they believe they could add most value to. On the day itself the academics attend a one hour workshop face to face with the company to discuss innovative approaches to the problem and possible pathways to a solution. Companies can register their questions for the event until 15th July 2016. Science fiction films exert a powerful grip on the human imagination. This innovative exhibition, curated by The Royal Incorporation of Architects in Scotland offers insights into the architecture of science fiction. It looks at the startling representations of buildings and cities from movies from the birth of cinema to the present day, including Blade Runner, Flash Gordon and The Matrix. Brilliantly curated by RIAS graphic designer and self-confessed science fiction geek, Jon Jardine, this extraordinary show features over 190 newly commissioned drawings. In addition to a group of spectacular large scale works, by Ian Stuart Campbell, a group of young artists, Douglas Prince, Ciana Pullen and Piotr Sell, were commissioned to illustrate the key science fiction novels, comics and particularly films, which provide the exhibition’s detailed timeline. Close to 200 years of science fiction is catalogued in this show. Specific architectural connections are drawn with the works of the Italian Futurists, Le Corbusier, Frank Lloyd Wright, Buckminster Fuller and John Lautner. 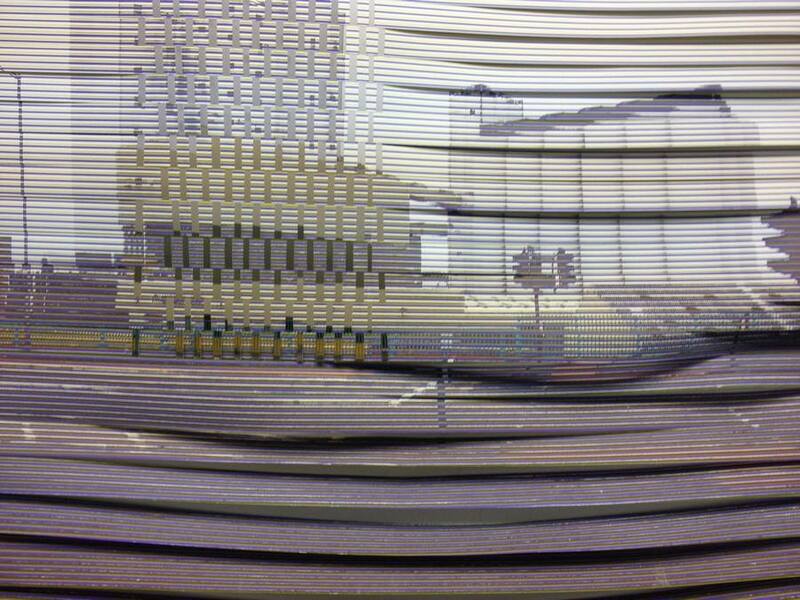 The exhibition is on now at The Lighthouse, Glasgow. The Scottish Government’s Cabinet Secretary for Culture, Fiona Hyslop MSP, will give the opening address at the ‘Outlook: Exploring Geddes in the 21st Century’, a two-day interactive conference on 18th and 19th August in Edinburgh. As part of the Festival of Architecture 2016 and to mark Scotland’s Year of Innovation, Architecture and Design 2016, educational charity PAS (Planning Aid Scotland) will host a two-day international conference to celebrate the impact and legacy of Scots polymath, botanist and founding father of town planning, Sir Patrick Geddes. The conference will involve a series of interactive seminars and workshops, fusing together strands of academic and practice-based thinking from Scotland and all around the world. Celebrating the top 100 buildings from 1916-2015, nominated by the Scottish public. This Scotland-wide tour will showcase the best of Scotland’s architecture, both historic and recent, to a very wide audience. 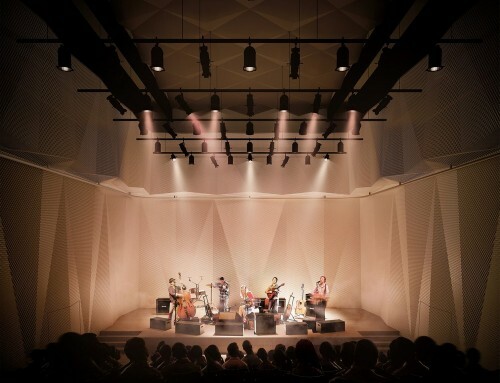 The selection of the 100 buildings was from public nomination, informed by an expert panel. From 18th – 20th August, come along and enjoy the debates, exhibitions, films and Festival Café Bar entertainment at the Scottish Parliament’s Festival of Politics 2016. 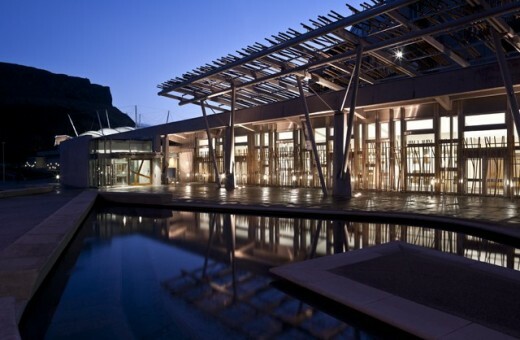 In 2016, the Festival will take inspiration from the Year of Innovation, Architecture and Design within the vibrant and inspiring setting of the Scottish Parliament itself an icon of contemporary architecture. To coincide with the Scottish National Portrait Gallery exhibition “Out of their Heads”, architect Rebecca Wober will be giving a talk on Peter Womersley on Wednesday 10th August, 12.45- 1.30pm at the Hawthornden lecture theatre, National Gallery of Scotland, The Mound, Edinburgh. Tickets cost £7, with concessions of £5 for students, unwaged, Docomomo members and University of Edinburgh staff. On June 16th Specifi bring their landscape architecture event to Edinburgh. “We begin with an inspirational talk from Dusty Gedge (4pm), urban ecologist, author, tv and radio presenter, founder of livingroof.org and president of the European Federation of Green Roof Associations. 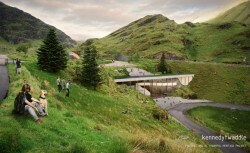 To round off the evening in style book on for the free Edinburgh Landscape Architecture Dinner. A relaxed affair (come as you are) where our hosts at Amarone, provide us with 3 courses of italian culinary delight. 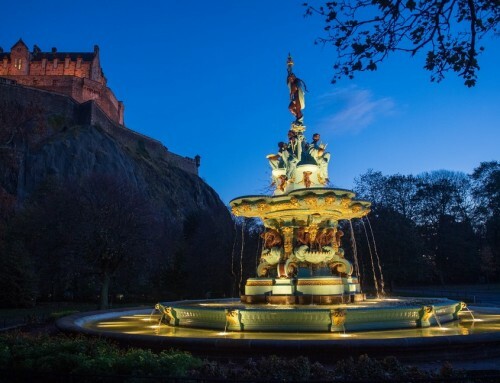 It all adds up to Edinburgh’s Landscape Architecture event of the year”. ‘Development’, Robert Davies’ photographic study of coastal Edinburgh, moved to Interview Room 11 from 19th Feb for three weeks. ‘With this body of work I set out to explore the changing edge of a city, and in doing so found a coastal landscape in limbo. One of stalled housing developments and dislocated communities – a landscape of unfinished visions, uncertain of its future and disconnected from its past. The architectural historian Tom Parnell will discuss the 20th century urban history of the St. James Square area, including the multitude of development proposals from around the Second World War, the scheme eventually built in the 1960s, then as New St. Andrews House for the UK government’s Scottish Office – later to become the St. James Centre, also home of a Thistle Hotel and housing one of the UK’s most successful John Lewis departmental stores – up to the planned ‘regeneration’ proposal. Docomomo Scotland’s last event in 2015 – mulled wine and mince pies from 6pm. following the theme of Edinburgh’s Food & Drink. Over 100 venues, with activities to celebrate the 25th year of organising this popular event. by Eric Marchant, Architect and Fire Engineer.